A dual intent visa allows foreign nationals to be temporarily present in the United States with the known intention of possibly immigrating to the U.S. permanently. That’s significant because most temporary visas require that the visitor intend to return home. Thus, attempting to adjust status to permanent resident with other nonimmigrant visas can potentially trigger severe, long-term immigration problems. 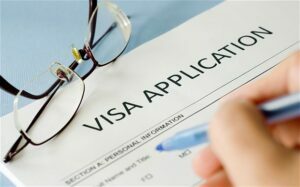 Most people will find it difficult to qualify for a U.S. nonimmigrant visa, such as a visitor visa, if there is any evidence of immigrant intent—a past intent, an intent to seek to immigrate during this trip to the U.S., an intent to immigrate to the U.S. in the future, or even a hope to immigrate in the future. The applicant must establish nonimmigrant intent. U.S. immigration law provides for the existence of immigrant visas (permanent green card holders) and nonimmigrant visas (temporary visitors). Before issuing visas, foreign residents must state their intentions and prove to the consular officer that he or she meets the standards required by the particular visa classification for which he or she is applying. In fact, the consular officer will presume that every applicant for admission is an immigrant unless the applicant can prove that he or she qualifies for a nonimmigrant visa. What’s more, the applicant can even be permanently barred for visa fraud if a consular officer (or other immigration official) believes that a visa holder is intentionally misrepresenting himself. Will visit the United States temporarily. Family and personal ties in each country. Work and business ties and opportunities in each country. Homes owned or leased in each country. Property ties (e.g., car, other real estate, bank accounts, investments) in each country. Social or cultural ties in each country. Prior efforts to establish permanent residence in the U.S. and prior U.S. immigration violations. Whether the purpose of the U.S. clear, credible, and is consistent with the desire to keep a principal home abroad. Again, these aren’t rigid guidelines applied to every type of nonimmigrant visa. In fact, there are exceptions to the rules. For example, for an applicant applying for an F-1 student visa, there is some leniency provided for the applicant. The Department of State understands that the typical student is young, without employment, without family dependents, without substantial personal assets, and often without very specific plans for the future. So consular officers will consider the “residence abroad” requirement for students in a broader light, and instead to focus on the student applicant’s short-term intent. A decision to grant an F-1 visa is therefore based on the applicant’s immediate intent – not on what that intent might be in the future. A dual intent visa allows a foreign national to enter the United States as a nonimmigrant but retain the option to apply for a green card (permanent residence) in the future. There are some types of visas that simply don’t fit the mold of a true nonimmigrant intent. Several visas inherently contain the possibility that the visitor will become a permanent resident in the U.S. Thus, a dual intent doctrine was established. The K-1 fiancé visa is used by a foreign fiancé to enter the U.S. and marry a U.S. citizen. The K-3 visa is used by the spouse of a U.S. citizen to enter the U.S. while waiting for a pending Form I-130 alien petition filed by the U.S. citizen spouse listing him/her as beneficiary. In each case, these are spouses (or future spouses) of U.S. citizens that will granted the privileges of immediate relatives. So K-1 fiancés enter the U.S. as nonimmigrants but clearly have the intent to marry a U.S. citizen and generally immigrate to the U.S. Thus, the K-1 is known as a dual intent visa. The H-1B, L-1 and O-1 employment visas are pure dual intent visas that give the holder nonimmigrant privileges and a clear path to a green card if there is a willing sponsor. Approval of labor certification or the filing of an immigrant visa petition does not preclude granting H-1B status, L-1, or O-1 status. To the contrary, it is to be expected. However, the consular officer must be satisfied that the applicant will depart the U.S. voluntarily when his or her authorized nonimmigrant stay expires if not granted a green card. The E-2 treaty trader program was created to facilitate trade between the United States and the various countries with which the U.S. has trade agreements. The E-2 is a dual intent visa. However, immigration law prohibits E-2 nonimmigrants from applying through the adjustment of status process without waiving certain legal rights provided in the trade agreement. For this reason, anyone with an E-2 dual intent visa that wants to consider permanent residence should consult with an immigration attorney first. An immigrant that wants to change from a nonimmigrant status to that of a permanent resident (green card holder) will file Form I-485, Application to Register Permanent Residence or Adjust Status. The process is commonly referred to as adjustment of status. First, the applicant must have an immigrant petition filed on his behalf. 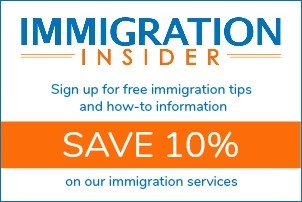 Generally, an immigrant petition is filed by a family member (Form I-130) or an employer (Form I-140). Once the petition is approved and an immigrant visa number is immediately available, the immigrant may adjust status. The issue that emerges for a nonimmigrant without a dual intent visa is that by filing Form I-485, it brings into question whether or not the applicant had a “preconceived intent” at the time he or she was granted the nonimmigrant visa. It is plausible that the immigrant entered the U.S. with the intent to return to his home country but changed his intentions (perhaps due to a job prospect or romantic relationship). But an immigrant cannot have the preconceived intent to enter the U.S. for a purpose different from that permitted under his/her nonimmigrant visa. As a general rule, USCIS will likely assume that a person entered with a “preconceived intent” to remain in the U.S. if that person files an immigrant petition or adjustment of status application within 90 days of entering the United States. However, the assumption may be disproved by the applicant with evidence to show a change of circumstances that led to desire to obtain a green card. Regardless, the nonimmigrant that chooses to adjust status should expect some degree of scrutiny so that USCIS can assure that the visa was not acquired through fraudulent means. CitizenPath provides simple, affordable, step-by-step guidance through USCIS immigration applications. Individuals, attorneys and non-profits use the service on desktop or mobile device to prepare immigration forms accurately, avoiding costly delays. CitizenPath allows users to try the service for free and provides a 100% money-back guarantee that USCIS will accept the application or petition. We provide support for the Petition to Help a Relative Obtain a Green Card (Form I-130), Application to Adjust Status (Form I-485), and several other USCIS forms.